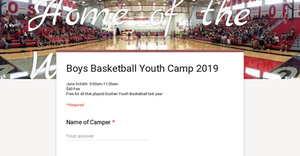 The Men's Goshen Basketball team is having our annual Youth camp again this year. Follow the link to sign-up online. Walk-ins are welcome as well. The camp is June 3rd-June 6th from 9-11 am for all and from 11-12 for rising 6th graders. Thank you to all the families that have attended in the past. This year's camp will be another fun one! Fourth graders enjoyed their AIR Assessment pep rally today. 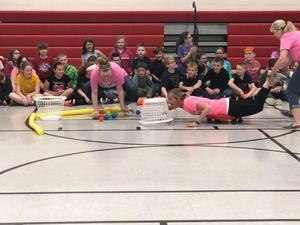 We enjoyed Hungry, Hungry Hippos and celebrating everyone’s hard work! Fourth grade will take the English Language Arts AIR Assessment on April 17-18. 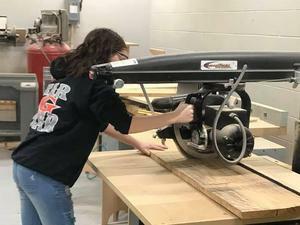 Congratulations to Goshen High School's Olivia Litzau! Congratulations to Goshen High School's Olivia Litzau for signing her Letter of Intent to play Beach Volleyball for Liberty University. So proud of you! Great kids representing GHS at the state level! 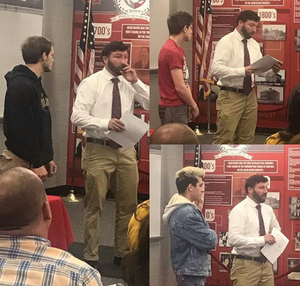 Taking a moment to celebrate an amazing wrestling season for GHS athletes Zach Dunn, Josh Dunn and Chase Huff at Monday's Board Meeting. Great kids representing GHS at the state level. Goshen High School is a great place to make memories! Goshen High School is a great place to make memories! Things are hopping in the wood shop. Love these fantastic kids! 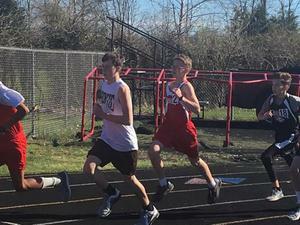 What a great evening for the GMS invitational track meet with a total of 12 schools! Great competition! Fifth Graders Science Fair projects at Board of Education! Fifth graders Aliyah Gordon, Ruth Hornsby, Chloe Pearson, and Cayde Settles did a great job sharing their Science Fair projects at last night’s Board of Education meeting. Thank you to Ms. Gephart, Mr. Hounshell, and Mr. Williams for your work in planning the Science Fair. The projects were amazing! Mr. Ohnmeis’s class students are reviewing traveling! 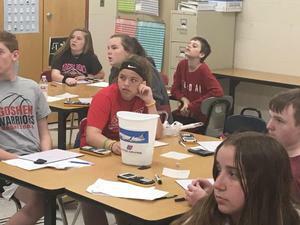 In Mr. Ohnmeis’s class students are reviewing by traveling to many remote and facinating locations on different airlines.